First Meeting of the New Rotary Year! 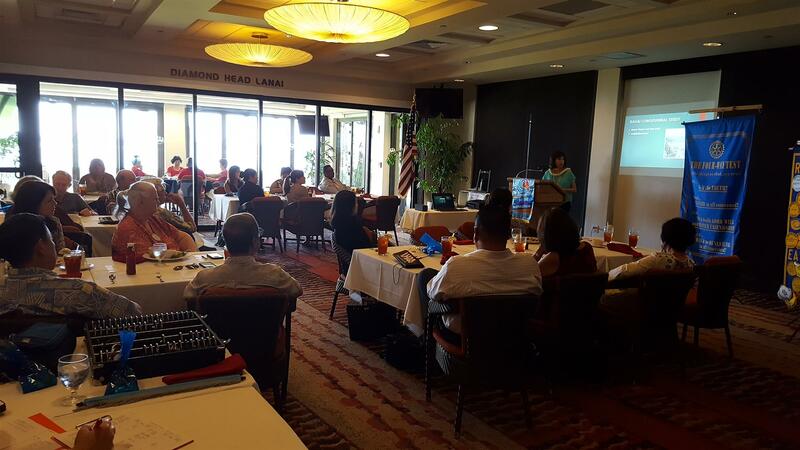 On Monday, July 2nd, 19 members and 5 guests filled the Waialae Country Club. 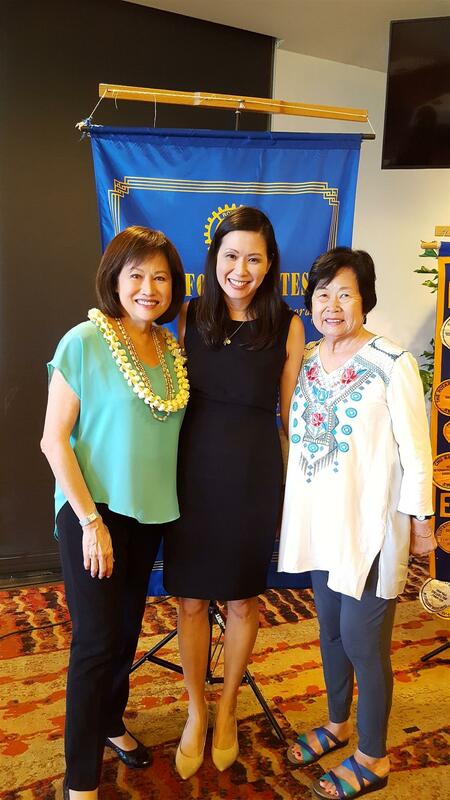 Five minutes prior to starting the meeting, Sergeant of Arms Tony Cara gave out prizes from the University of Hawaii Alumni Association to winners of our Rotary Trivia Quiz! If you'd like to win a prize in the future, make sure you keep updated with the Rotarian magazine! Trivia quizzes will take place periodically throughout the year. 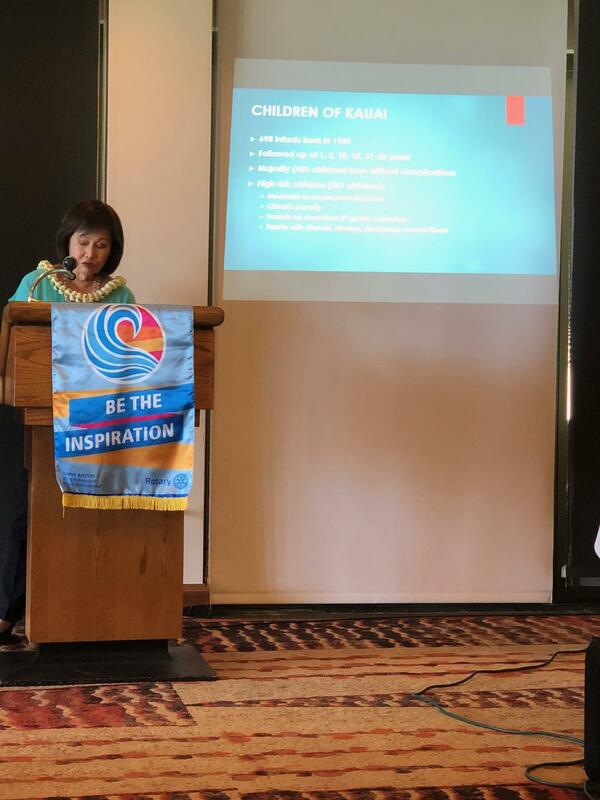 Dr. Sylvia Yuen, who is the current Executive Director for the Research Corporation of the University of Hawaii (RCUH) gave an interesting look into the development of resiliency in the early years of a child and the importance that the environment plays in that development. Wonderful fellowship was had by all. We hope to see all of you at the next club meeting!